The 2-minute-30-second video was on the theme of peace, harmony and progress prevailing in West Bengal, in contrast to an alleged atmosphere of fear in other parts of the country. The music video was shared by Mamata Banerjee on all her social media channels. 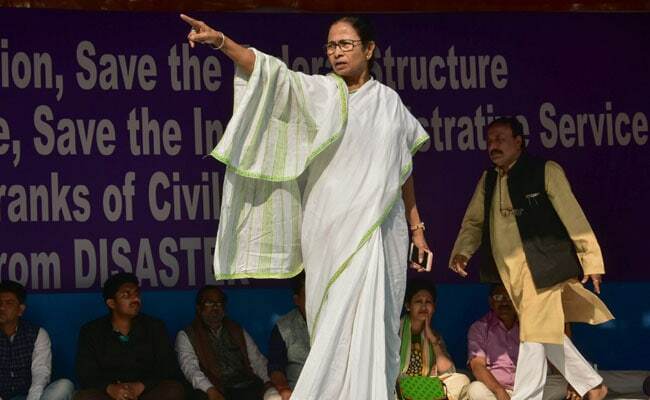 West Bengal Chief Minister and Trinamool supremo Mamata Banerjee on Thursday launched a music video for the upcoming Lok Sabha election in the state. The music video was shared by Ms Banerjee on all her social media channels Facebook, Twitter, Youtube and Instagram. "I am very happy to share the new music video Maa, Mati, Manush for the forthcoming Lok Sabha Elections," Ms Banerjee said in a post. The state, which has 42 Lok Sabha seats, will vote in all the seven phases. The Trinamool last week had launched a web series christened 'Pradhan Mantri Hisab Do' comparing the various welfare schemes of the Narendra Modi government at the Centre with that of the TMC government in West Bengal. The first episode of the web series began with a short film comparing the state government's 'Sabooj Sathi' with the Central government's 'Beti Bachao Beti Padhao' scheme.